The writing prompt for this week involves hobbies. Do you like to dabble in lots of different hobbies? Is so, what are they? Or do you have one primary pastime that takes up most of your free hours and energy? Hobbies are very much a part of my life. Some of them, such as needlework, carry over from when I was younger, but others I became interested in as I got older. Taking photos is something I've done since my sister gave me a Kodak Instamatic camera when I was in grade school. I progressed to a 35 mm film camera in college, and now work exclusively with digital cameras. I joined a female photography group, and have met some exceptional women and enjoy participating in the group photography shows. I am super excited and proud that my photos will be appearing in an upcoming print and ebook on reducing stress! My interest in genealogy started when my mom died unexpectedly in 1989 at the age of 69. At that point I realized that if I wanted to capture the stories and memories of the older generations in my family, I better get started. 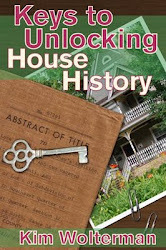 Since that beginning in 1989 I have taken many genealogy research trips, spent hours digging through online files, connected with relatives that I didn't even know I had, and submitted my saliva for DNA analysis. I also enjoy doing research for other people, and am currently looking into the family of a man who was supposedly possessed by the devil. 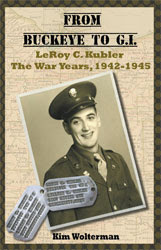 I'm pretty happy that his name is not in my family tree. 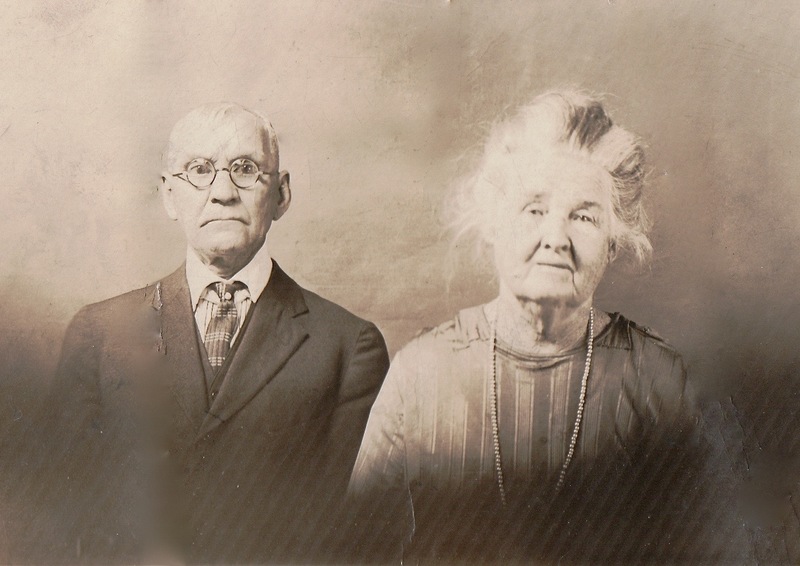 Pictured here are my second great-grandparents on my dad's side. 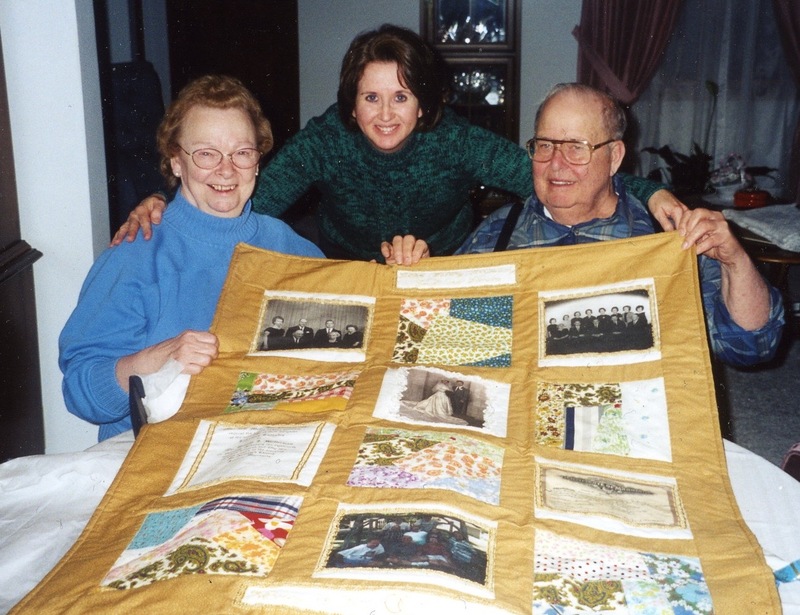 I began making quilts back in 2002 when I got the crazy idea to make my mother and father-in-law a quilt for their 50th wedding anniversary. No pressure! 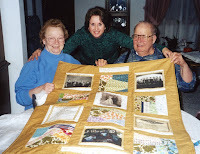 I had important photographs and documents reprinted onto fabric, and then used some quilt squares that my mother-in-law's mother had made and incorporated those into the quilt. I hand embroidered dates and their names onto the border. Since that first quilt, I have made close to 30 quilts. While quilting strains my mathematically challenged brain, it also brings out my creative side in ways I didn't know I possessed. My latest hobby fortunately combines fitness as well as fun. 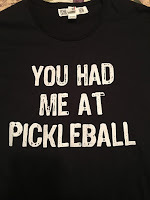 Two years ago I was introduced to pickleball, a court game that includes elements of tennis, badminton and ping pong. The ball resembles a whiffle ball, and the paddle is like an oversized ping pong paddle. It is touted as the fastest growing sport in America, and it's not just for old people anymore. A lot of younger players have discovered how fast and strategic the game can be. 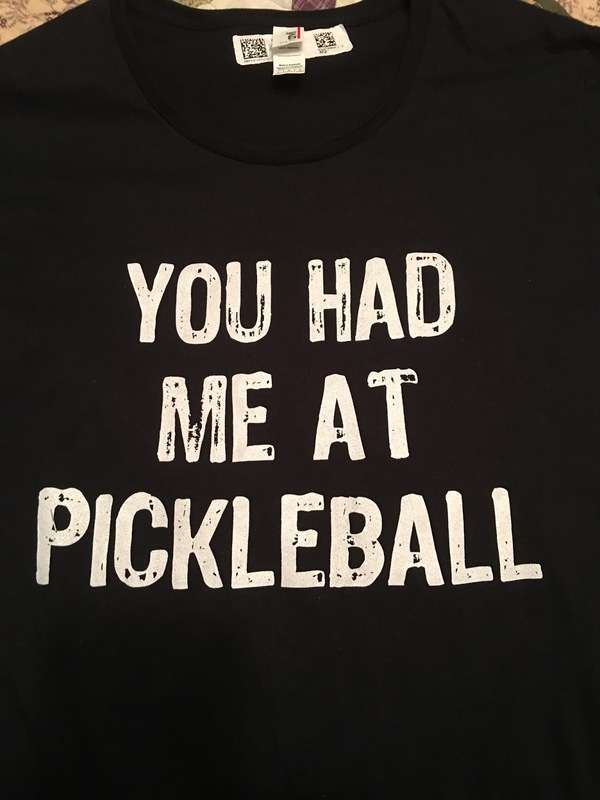 I try to play 3 times a week, and for me getting to socialize with people is just as important as the workout since I have my office in my house. The best part about all of my hobbies is that each one of them is something that I can continue to do the rest of my life, assuming my health and eyesight remain good.